Since I became a media specialist, I’ve had the honor and privilege of attending my state media specialists conference, FAME, every year. (You can find my posts on 2014, 2013). 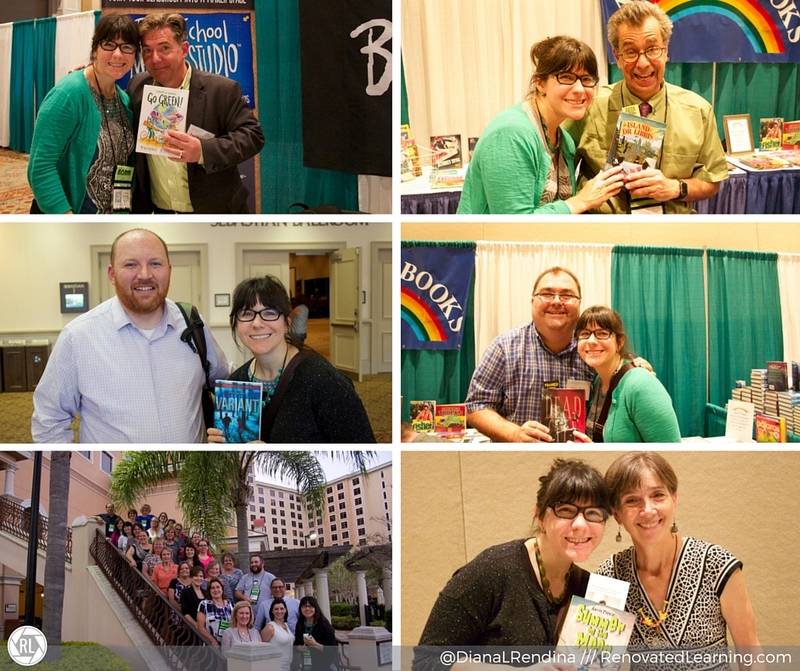 Those last two were some of the first times I blogged professionally. Last year’s FAME conference was my very first time presenting anywhere. This year’s FAME conference was different for me from previous ones because I’ve been taking more of a leadership role within the organization. I only actually ended up getting to two sessions besides my own, and met a couple of the authors. But through my workshop, presentation and makerspace playground, I got to meet a lot of people and had a lot of great conversations about transforming libraries and starting makerspaces. The conference was definitely a whirlwind. I feel exhausted just thinking about it, but it’s always refreshing and inspiring to get to connect with my fellow Florida librarians for a few days. This year at FAME, I presented a pre-conference workshop on makerspaces with Dottie Smay and Courtney Walker from Shorecrest Preparatory in St. Petersburg, FL. I’m so glad I got to present alongside them. They’ve created a fantastic makerspace at their school and they helped to balance out the conversation. Their school is a private school – Dottie handles the elementary side while Courtney handles the secondary side. We had a lot of elementary librarians at our workshop, so I was glad to have someone with more direct experience on that end. We started off our workshop by giving a brief introduction to our spaces and how we got started with bringing the Maker Movement into our schools. Then we dove into the best part of holding a makerspace workshop- making stuff! Each table in the room had a bin of supplies. Most had either LEGOs or K’nex, and we also added a small cardboard box of craft supplies like pipe cleaners. We challenged our participants to create a simple machine. It was so fantastic to watch them all at work. Some went with very traditional designs, while others branched out beyond those. We had several LEGO and K’nex cars, since a wheel and axle is a simple machine. One group created a car out of their cardboard box, then created a pipecleaner family to ride in it, complete with kid in a car seat and a dog. Another group decided their box looked like a monster and used the pipe cleaners to decorate it. Other groups built levels, catapults, pinwheels and a variety of amazing creations. After about 20 minutes of creating, we gathered everyone back together as a group to talk about our experiences. I was struck by the pride that our participants had in their creations. They were excited to share them and show them off to the group. I also loved the story telling that came into each project – these were more than just simple machines to our group. We continued the workshop with a discussion of curriculum tie-ins with makerspaces, which is something that I get asked about a lot. Then we broke into groups again to introduce participants to littleBits, Sphero and 3D design software. Finally, we wrapped up with practical tips and Q & A. The three hours really flew by, and I’ve had a lot of postive feedback from participants. You can find slides and resources from the workshop on my presentations page. 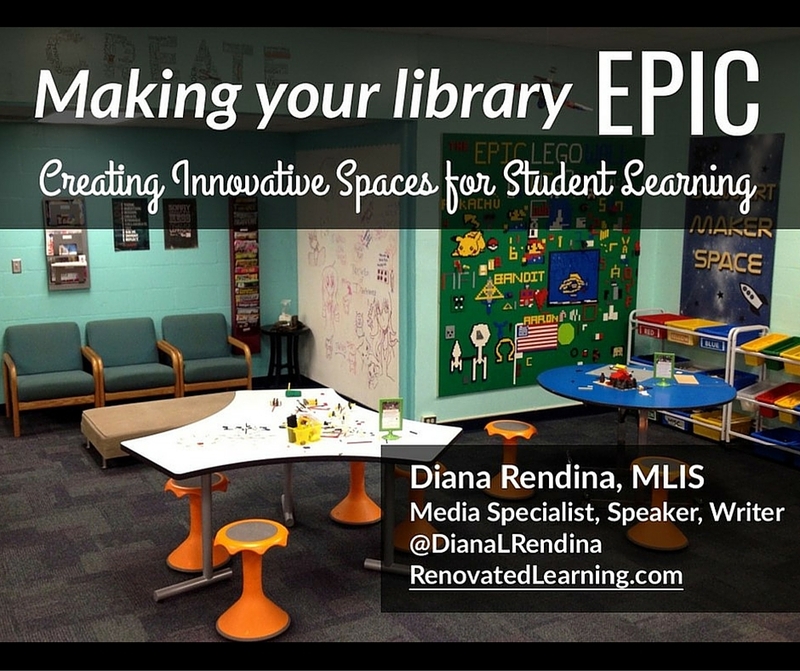 This was my first time formally presenting on a topic that is near and dear to my heart – transforming learning spaces through learning space design. The bulk of the presentation focused on how I’ve gone about transforming the Stewart Middle Magnet media center over the past five years, from weeding aggressively and removing shelves to starting our makerspace and getting our Lowes Toolbox grant. I also took a look at learning space design theory and how that can inform how we rethink our spaces. One of the best parts for me was coming up with a list of tips, tricks and advice on rethinking our spaces and getting started with transforming our libraries, even with no budget for renovations. I’ll be doing a poster version of this presentation at FETC in January. You can find slides and resources on my presentations page. For most of the rest of the conference, I handled setting up and running the makerspace playground. I gathered together a group of volunteers from my district and from around the state to help me run it. We had a variety of stations set up. These included an arts and crafts station to bling our badges, Snap Circuits, littleBits, Cubelets, LEGOs, K’nex and a Sphero test drive pen. Visitors could check out the different stations and try out the materials. Signage was up with links to curriculum and resources related to the materials. 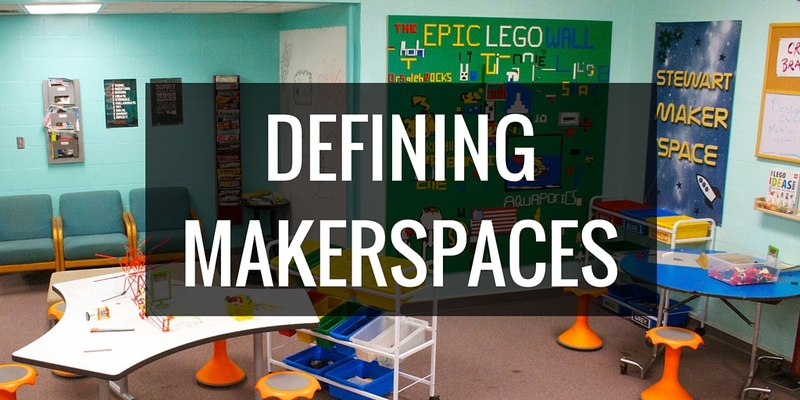 Running a makerspace for adults can in some ways be similar to running one for kids. Some struggled with the littleBits and SnapCircuits at first. I tried to provide some guidance while staying out of the way. They struggled for a bit (and some wanted me to do it for them) but when that buzzer first went off, when that LED started blinking, you could see their faces light up. Check out my makerspace playground signs on Google Drive. 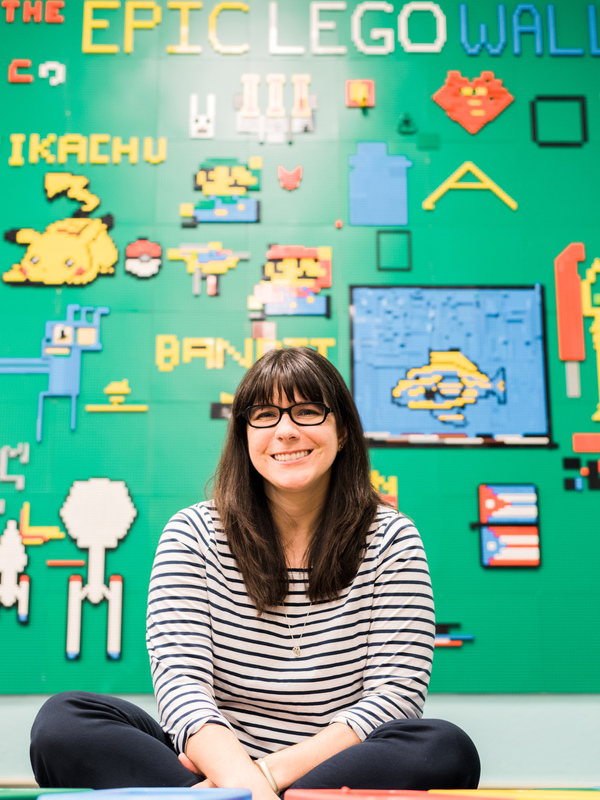 Between presenting and running the maker playground, I didn’t have a whole lot of time for much else during FAME. I did manage to make it to a fantastic session on the Learning Commons model by Meaghan Monaghan and a great session on managing your evaluation from Vandy Pacetti-Donelson. There was a good handful of authors, including Paul Reynolds (who is amazing and inspiring – love the work FableVision is doing), Chris Grabenstein (who is as awesome and hilarious in person as his books are), James Ponti, Adrian Fogelin, and Robison Wells. I also got to hang out a bit with Tommy Greenwald, but missed out on meeting Neal Shusterman (again). With all this going on, I still managed to make it to a few social events. I was so happy to see so many media specialists from Hillsborough County at FAME.